With the drag & drop editor, create a page dedicated to your products and services that is optimized for mobiles. Want to launch news and promotions? Your recipients just click on an email or touch an SMS. Drag and drop content blocks to create an optimized page for mobiles. From their background to the call to action, many features are available for defining each design element. Save on the number of characters for your SMS campaigns by shortening your page's URL. Sending statistics and more. MailUp records all clicks on the landing page. 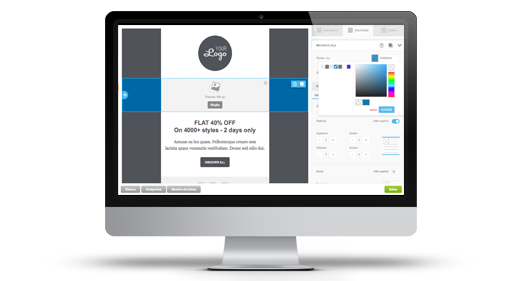 With the drag & drop editor, you can model the landing page's layout in just a few steps, thanks to the many features provided for flexible design and optimized for mobiles. 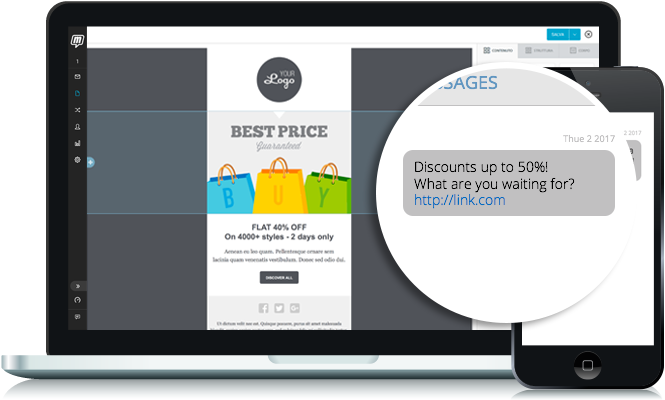 The URL shortener allows you to shorten the URL associated with your SMS' landing page with a click. In this way, saving on the 160 characters available, you have more space for your text. 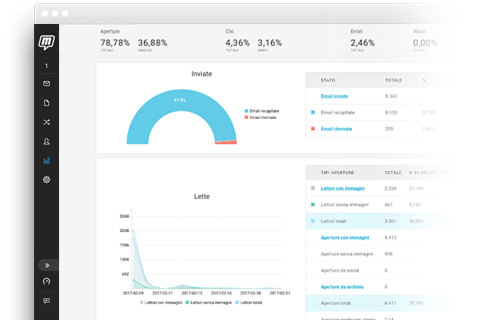 Make the recipient's interaction with your landing page lively and immediate, inputting call to actions designed specifically for mobiles, such as "Call" or "Send an email"
Monitor each campaign's success thanks to statistical reports. You can easily insert the web analytics tracking code for your link. To create your own landing page, you can begin with a selection of detailed and clear templates: drag in text and images, and your page is ready. 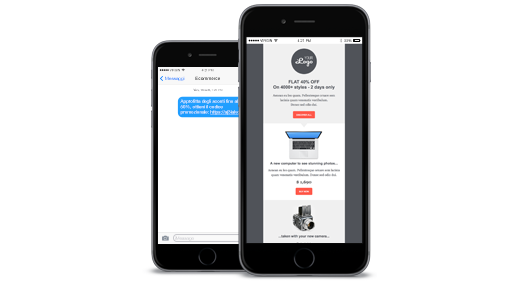 Effective, fast and read immediately: 90% of all SMS messages are opened in the first three minutes from delivery. With MailUp send up to 200 SMS per second in more than 100 countries, with no fixed costs or annual fees. Discover recipients' habits with detailed reports: clicks on SMS messages, opening times, contact details, and errors.